“Play as many games as you can?” Maybe not. A while ago I read a preview of the video game XCOM:Enemy Unknown, now released and not to be confused with its successor Declassified. I was struck by how often the author talked about “hard choices”, struck because this is what games (beyond family/party games) traditionally have involved, yet are rarely present in a great many contemporary video games, and many tabletop games. Traditionally, a game designer wanted to put the players of a game “on the horns of a dilemma”, trying to decide between two or more things the player wants to do when he can only do one. Even in family games there were occasional difficult choices to be made although the players often weren’t bothered whether they made the correct choice or not. This may be one way of differentiating family/party games from more serious games. That is, adult players of family/party games rarely take the game, or themselves as players, seriously. Children often take them more seriously than the adults. Diablo III is a poster boy for video games where there are no hard choices, where in the long run your choices don’t matter at all. It’s institutionalized in the game in such things as the selection and use of skills. You do not have to make decisions that matter when choosing which skills to use, because you can always change combinations. This is touted as providing greater variety, which it does, but once again it means that what the player decides *doesn’t really matter*. There are no consequences for poor choices, just a “do again” akin to guess-and-check (which used to be known as “trial and error”, but the meaning of the latter is changing). It is no long consequence-based gaming, it has become reward-based gaming. In general, in Diablo III it doesn’t really matter what a player does, he’ll succeed in the end. "I know if I invest X amount of time into D3 I will beat it with no learning curve and nothing really gained from the experience other than over hyped cinematics and the bragging rights to sell things to my peers on an auction house. "I play World of Warcraft a fair bit, but I don't really worry too much, because I know if I kill myself the very worst thing that's going to happen is I'll have to run a zillion miles back to my body. I am way more careful in Minecraft . . . when there's a fear of loss, your success means more to you." 4th edition is WoWified, it doesn't ask the players to think much, it's really hard to screw up and die. 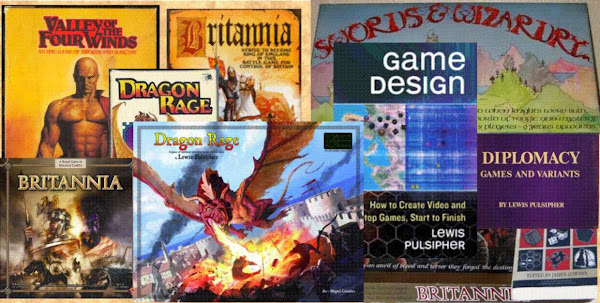 A comment on the post finally made me realize that the fundamental point of RPGs has changed between 1st and 4th edition. In 1st edition you wanted to overcome the thrill of fear. The referee's job was to scare the snot out of you, usually by threatening your character with death, sometimes by threatening to take or destroy your stuff, though his or her job definitely was NOT to actually kill you. 2nd edition was similar. 3rd edition became a contest to find rules that enabled you to construct a one-man army (OMA), and then the game was about you showing off the super-duper-ness of your one-man army (one person called it "fantasy Squad Leader"). Your OMA was too tough to be scared. Where in 1st edition most of those unearned advantages would not even be allowed, they had become the main reason for playing 3rd. In 4th edition it has gone further, essentially you're rewarded for participation. In this respect many video and role-playing games are becoming pure entertainment, without any element of frustration or obstacle. In traditional games the consequence of making the wrong choices, or sometimes simply being unlucky, was that you lost the game (or at least were more likely to lose). In video game “entertainments” you can’t lose; if you fail or die you simply come back and continue as before, whether this is built into the game as is often the case now (respawning) or whether you go back to your saved games. Nor can you lose in tabletop RPGs, if the referee chooses so. I said in my book Game Design: How to Create Video and Tabletop Games, Start to Finish that I thought video and tabletop games are converging, but sometimes I'm not so sure when I look at games like Farmville on one hand, and worse, the all-rewards-all-the-time games like Diablo III and many others, where anything that interferes with getting direct pleasure is regarded as a "fail". Yet many Eurostyle board games lean toward removing the sting or frustration of failure by removing direct conflict or direct interaction from the game. In the extreme I call this a “contest”, where several people are attempting to achieve the same thing without significantly affecting one another and whoever achieves its first wins. Virtually any activity can be turned into a contest if it involves time or something else that’s measurable, such as who can get an arrow closest to the bull’s-eye, or who can type the most words in 5 minutes. Many Olympics style sports are actually contests rather than games. Some races are contests, for example most swimming races; others involve blocking an opponent which is an aspect of a game rather than a contest. The heart of this point of view is that games (as opposed to puzzles) require a semblance of intelligent opposition that can affect other players, and in contests there is no by-rule way to affect other players. Yes, you can ALWAYS have a chance to affect another person psychologically, for example going out fast in a middle distance swimming race to try to spook your opponent; but the rules don't cover or facilitate this. "What I often observe though is that he 'cheats' to play through his games. By that I mean that he starts the game, and after a few rounds gets stuck. Instead of using his brain to try different strategies he simply looks up a guide on the net where there are countless free walkthrough guides for nearly every game out there. To me, this seems like it turns a puzzle into a basic clerical task, but he thrives on it !? Can this response by the users be the basic reason for 'dumbing down' games?" This reminds me of contemporary programming students - usually those who aren't interested in becoming professional programmers - who guess at solutions rather than reason them out. But instead of guessing or figuring it out, Johnson's son looks it up. I like to say that at age 15 I "retired" from playing chess, because it had become too much like work. Chess is a "game" (extraordinarily difficult puzzle, really) where there's always a correct, best move, and that combined with the vast weight of the chess literature, put me off. Now "too much like work" has changed meaning. For a great many players, a game that requires *any* hard decisions is "too much like work." With a lack of hard decisions, gameplay depth (which is largely about hard decisions) is also absent or in short supply in most contemporary games. In fact, when gamers say "depth" nowadays they often mean *variety*. Variety is replacing gameplay depth as a goal for game design. It's important to most western gamers that games are "fair". But I think the definition of fair has changed for video gamers. Where it used to imply that you got what you deserved, that you had to *earn* something, now it means "fair" in the way my young niece used to use it. She'd say "that's not fair", but she meant, "that's not what I want, I'm not getting what I want". Now video game players expect a game to give them what they want, when they want it, period. I'm not saying this is bad, I'm saying this is what it is, and game designers have to recognize it, even if they design for a niche that prefers old-fashioned, consequence-based gaming - the niche that likes XCOM: Enemy Unknown. The only exception in video games to "what they want, when they want it" these days is putting the cards/units/abilities needed to win (after the token introductory levels) behind a paywall. The real choice of modern video gaming is, "Will I pay another $3 to win this time, or not?" I'm not sure this is true in the board game community, and I think this is because the board game community is a self-selecting set of people who put a lot more value in making hard choices. The falacy here, though, is that the vast majority of hard choices in new board games are a rehash of hard choices introduced in earlier games but given a new spin. Good point about the paywall (I've just recorded my spiel about F2P games for my audio-visual game design class). The hard choices in tabletop games are not quite a rehash because they are transformed by the presence of human opposition, human ingenuity, human unpredictability, that is lacking in most video games. Humans are part of the "content", but an ever-changing part.